Teacher: What is the formula for water ? 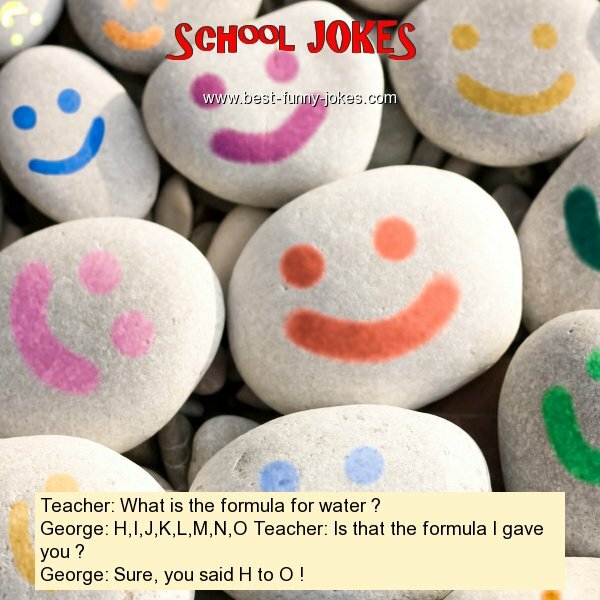 George: H,I,J,K,L,M,N,O Teacher: Is that the formula I gave you ? George: Sure, you said H to O !